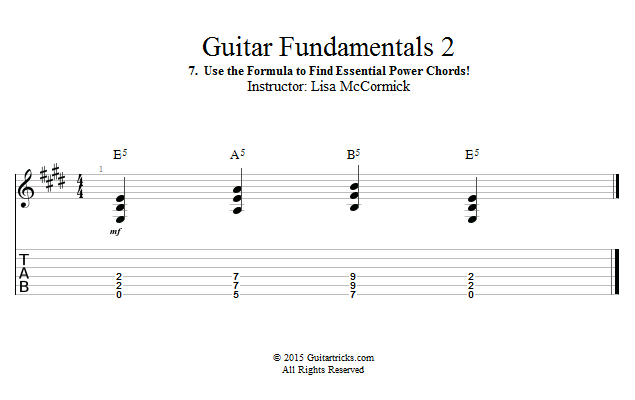 Guitar Lessons: Use the Formula to Find Essential Power Chords! In Guitar Fundamentals 1, you learned about the concept of 'I, IV, and V', as being the 3 major chords most likely to appear in a song. Those 3 chords (the I, the IV, and the V) are built off of the corresponding notes in the major scale. In other words, the root note of the 'I chord' is the first note in the major scale, or, note #1. The root note of the 'IV chord' is the fourth note in the major scale, or, note #4. The root note of the 'V chord' is the fifth note in the major scale, or, note #5. 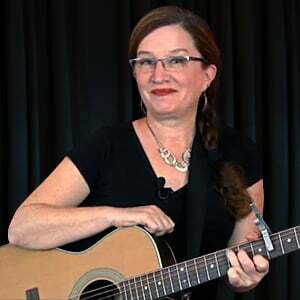 Let's use this information, with what you already know about power chords, to find the quick formulaic way to play the I, IV and V chords, using degrees of the major scale, and power chord formations.